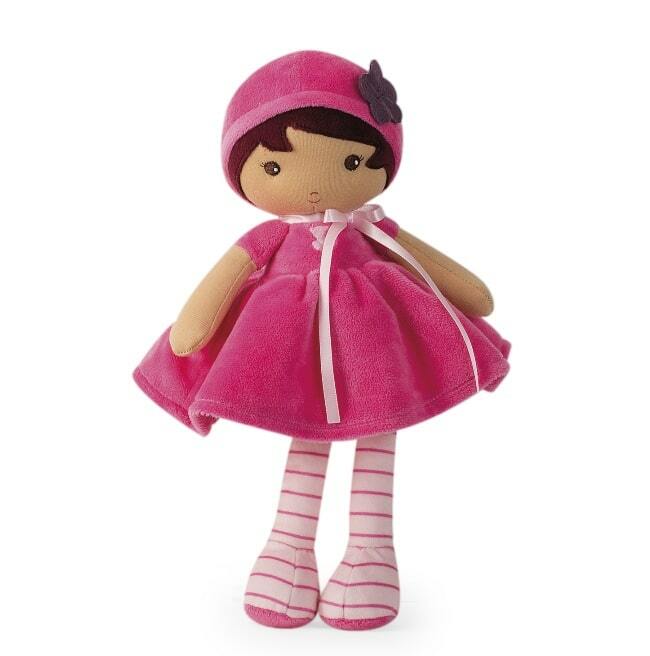 Treat your little one with their first cuddly toy with Kaloo’s Large Tendresse Doll. Standing at 32 cm tall, Emma is sweet and soft and comes in soothing white and pastel pink shades that makes her all the more huggable. No matter their age, your child is sure to cling to this comforting plush doll for nap time, tea time, bed time, travel, and every occasion in between – and with her irresistibly soft body, it’s not hard to see why!